Simon Peter Sutherland (B.Th, M.Th) is a Christian Theologian from Lancashire, England. Simon was baptised into ‘believers baptism’ at the age of 12 and has professed faith in Jesus Christ ever since. 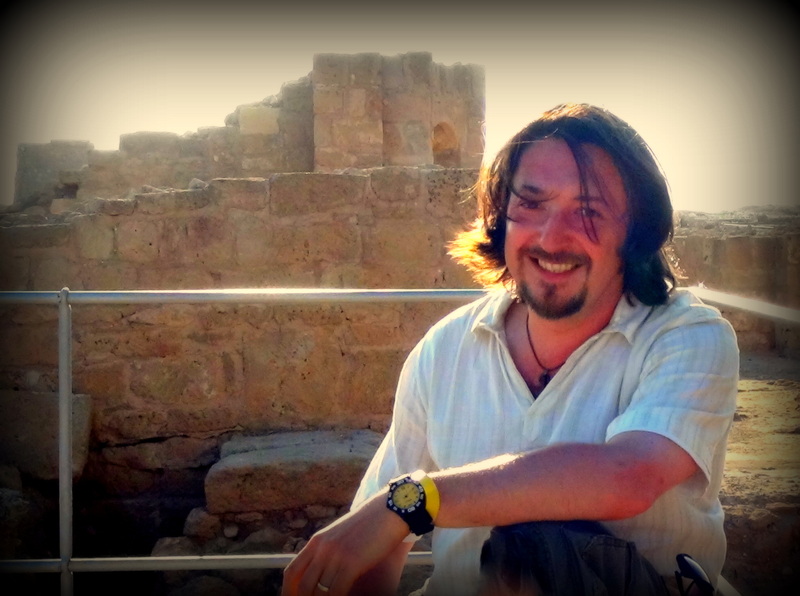 Over a number of years Simon has visited and journeyed through many lands of the Bible including the ancient Biblical sites of Neapolis (Kavala), Philippi, Malta, Cyprus, Rhodes, Rome, Kos and Crete, where he has independently researched the archaeology of the Bible. Simon is currently filming and producing further documentaries and continuing in writing and research. He has written a new book to be published and holds to a ‘High View of Scripture’ occasionally writing articles on various Theologically based themes. Simon, is also a singer/songwriter/Musician known as “Shimeon” and has written and produced a brand new album which is yet to be released. He and his wife have two sons. A powerful summary of David Cameron’s speech and the Queen. This year and last year 2010 will surely see the impact God is having on the world, therefore, the kingdom of God is coming to earth and the christian must take authority, as you said the leaders must not only declare word of God but take action in England and make a religious stance for the better. I am excited to see how the bible is being released to the nation and am encouraging you to speak and write the facts about the truth declared about Jesus Christ and expose those which are twisting the truth. All that can be shaken will be shaken and that which remain will stand. The heads of governments in the middle east has been shaken and we in Britain need to learn a lesson and take Godly counsel unless our government will fall to muslims extremists and other faiths and SILENCE is our biggest ememy to sit back and do nothing but complain, God is speaking through David Cameron and the Queen about taking their roles seriously as it is only God who promotes and appoints and take out governments. I believe the REVELATION of the Bible are been acted out before are eyes and Britain role is vital to the nations and will become the mother of land for all christian and all other faiths seeking for spiritual truth and righteousness. Continue using your gift that God has given you,as someone will be guided to your website. I agree with Carol in that silence or inaction is our enemy. When I see the documentary on George Marsh, and how he was willing to die in the worst way, as well as so many others in same fight for the truth, and also those who have fought for political freedom, I feel that we should be greatly ashamed of ourselves for our inaction. Most people today do not risk anything more than social chastisement, or perhaps the loss of a job or status, but nothing compared to dying in the flames. And as Carol said, we sit back and do nothing but complain. How many countries now are giving back their freedoms in the name of political correctness, and allowing their cultures to be changed for the worse. A great documentary on the conquest of the freedom of expression is Silent Conquest. No off-the-wall conspiracy theory stuff, just facts on the progressive silencing of any form of opposition to sharia and Islamic conquest, not in the form of terrorism, but in the creeping political and social systematic annihilation of those freedoms obtained through so much sacrifice.